Peruse it here. If you wish, you can even order a thrifty print. 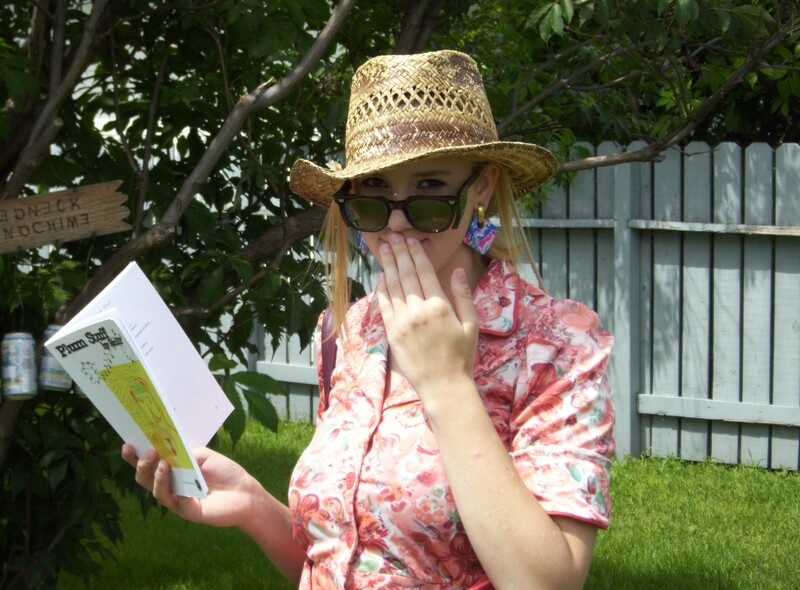 TICKLED, on a recent stroll through the park, to spot a librarian (one Miss Halfpenny) wearing all the classic librarian things – flowered dress, dark glasses, floppy hat, dangly earrings – reading a copy of my latest, Plum Stuff. She was a little bashful, as you can tell, but still permitted a snapshot or two, reproduced here with her kind permission. In other news, I’ve decided to kick coffee, right in the teeth, forever. Starting tomorrow.